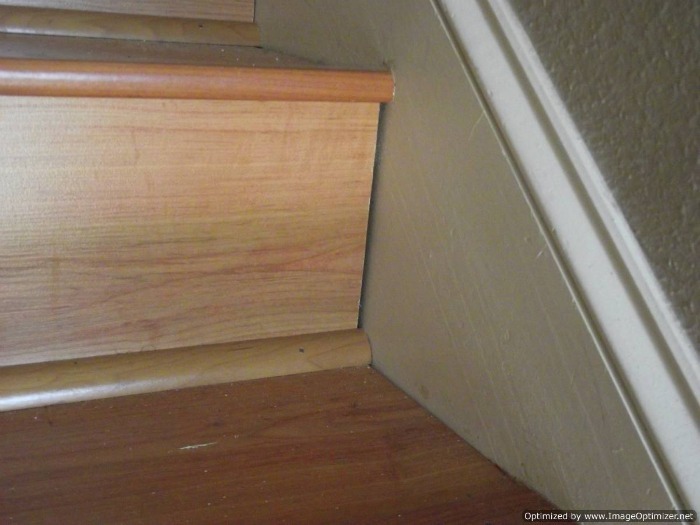 I want show how laminate on stairs with bad installation can look. When lacking in detail the stairs just look really BAD. As I have said before taking the time to measure the treads and riser correctly can make a big difference. 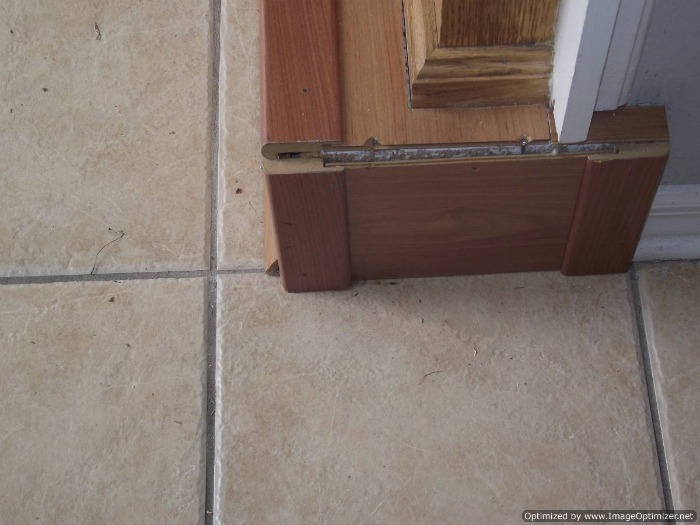 Measuring the width correct, and also cutting the ends to follow the angle of the wall needs to be done also. I did not install these stairs. I noticed these stairs when I was called to do other work in this home. I asked my client if I could take a few photos of this to use as an example for my readers. 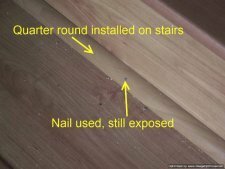 These are things you need to watch for if your hiring someone to install laminate or hardwood on your stairs. Or if you are going to do it yourself , don't make these mistakes. 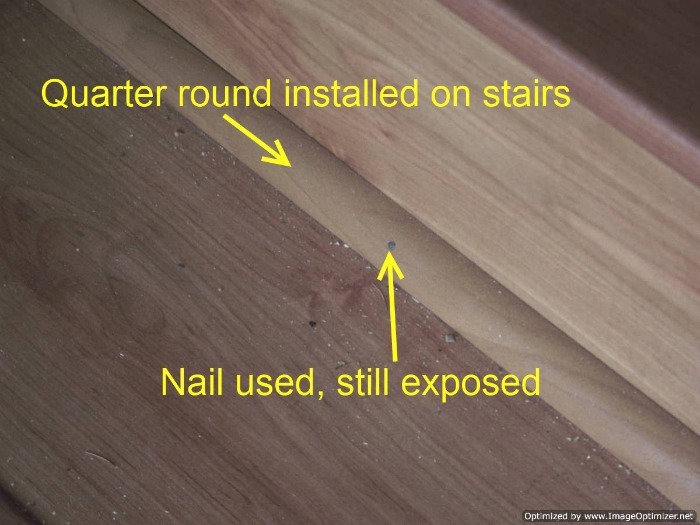 Putting quarter round on stairs usually means it is covering up something such as gaps. 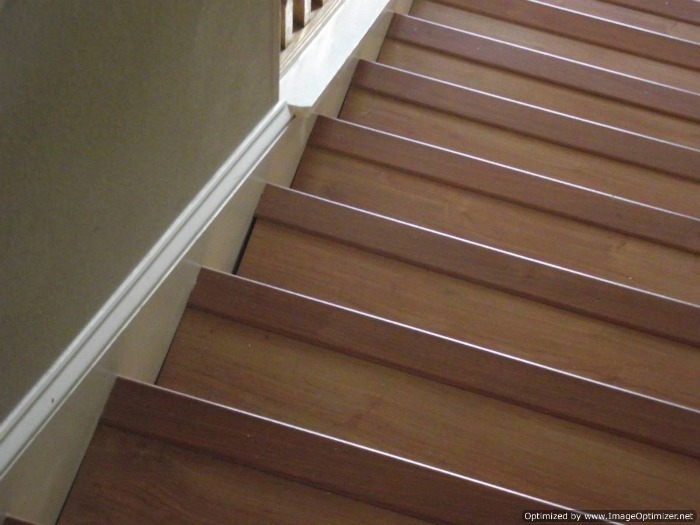 You want the riser (which is the vertical part of the stair) to set even on the tread below, with no spaces or gaps. As you can see in this photo the nail heads are too big and are not even covered with some matching putty. In this case the nail heads would have to be counter sunk with a nail punch to allow somewhere for the putty. 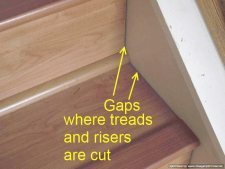 More bad cutting here on the treads and risers. Evidently the stair nose was cut a tad short and a small piece was used to fill it in. Its better to measure twice and cut once as they say. Notice the nail heads every where. In this photo I don't think the installer had a clue what he needed to do here. I can't imagine leaving this unfinished like this and expecting to get paid. 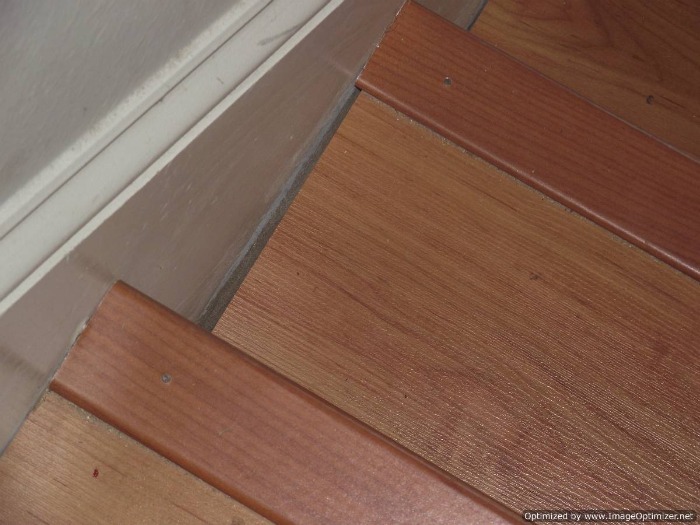 The stair nose should have wrapped the top of the stair on the side, and the laminate edges should have been cut at a 45 degree angle to meet at the corners. 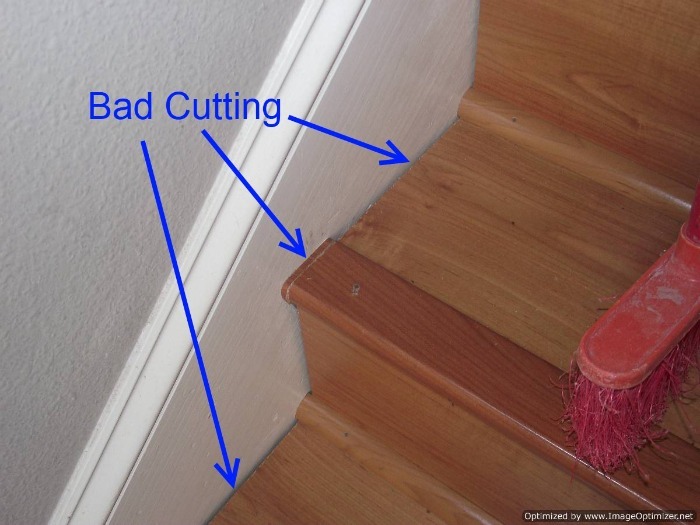 Here the stair tread is cut too short to the side. The riser is cut too short to the side. Some of the cutting is obvious even from a distance. I guess they could not find a matching stair nose either.